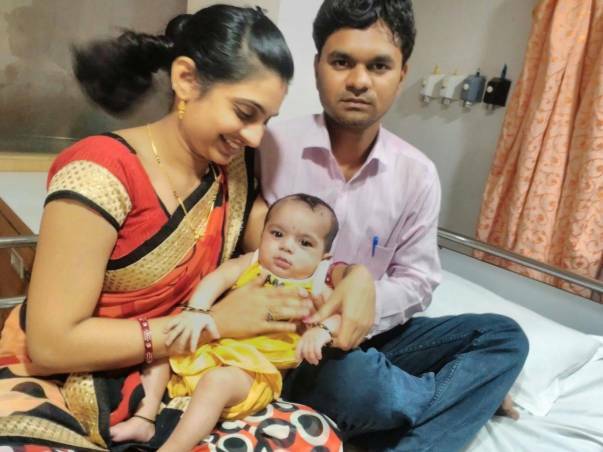 5-month-old Ridhan has been diagnosed with a severe heart condition called Tetralogy of Fallot. Tetralogy of Fallot (TOF) is a congenital heart defect that is present at birth. Symptoms include episodes of bluish colour to the skin, difficulty in breathing and occasional loss of consciousness. It is very important to get it treated at the earliest. 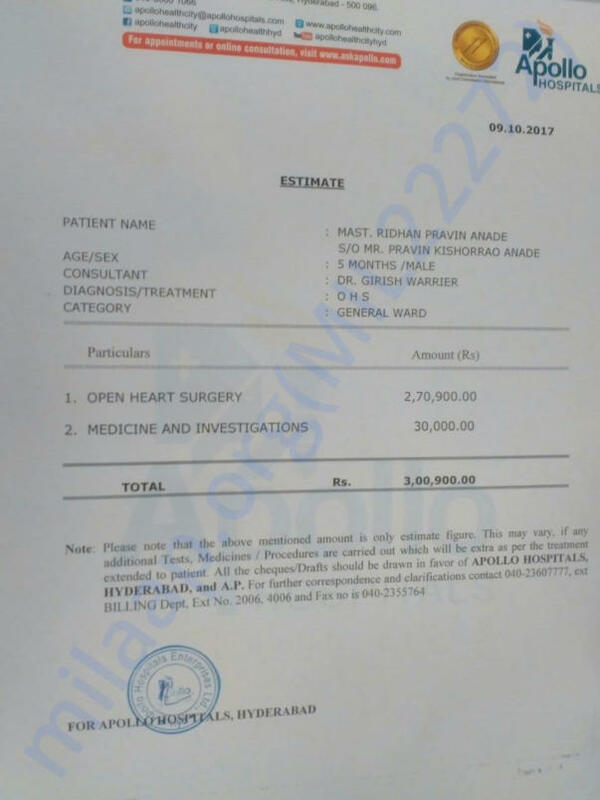 Ridhan has been advised to urgently undergo an open heart surgery in order for him to recover from his condition. Ridhan's parents who have only had the chance to be with their son for five months are not yet ready to lose him. His mother dreams of seeing him growing up and fulfilling all his dreams. 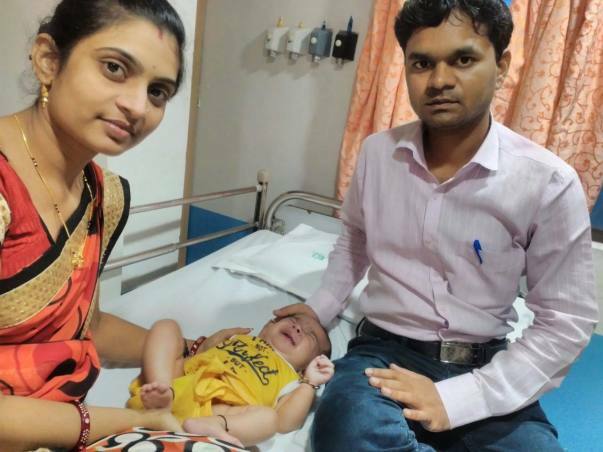 While they are ready to do whatever it takes to save their baby, unfortunately, Ridhan's parents do not have the funds required to pay for the surgery. They now seek our help to save their son. 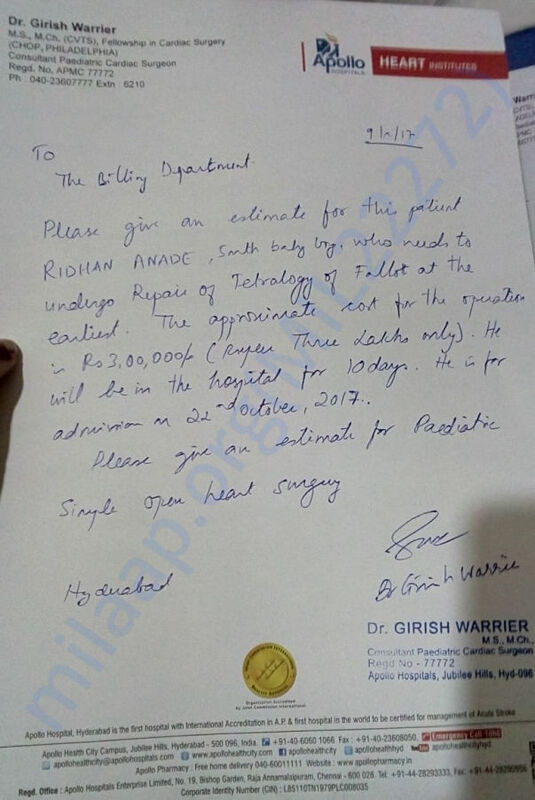 Your contribution can help Ridhan undergo surgery and save him. It is wonderful to have achieved our goal for Ridhan. He has successfully undergone his surgery and is recovering. In view of his peculiar anatomy, he required a little more time in the ICU. He is playful, and is the darling of the ICU staff. He is going to the ward tomorrow after his recovery. He will probably go home on Friday or Saturday and the parents are absolutely thrilled. All of you are in the prayers of the family and the care givers. God bless you all!